Nyah Check (@nyah_check, slides) is a software engineer at Altitude Networks. Nyah comes from a C/C++ background and subsequently wrote a lot of bad Go code early on. He hopes others can learn from his mistakes. What is a Heap and Stack in Go? A Stack is a special region in created to store temporary variables bound to a function. It's self cleaning and expands and shrinks accordingly. A Heap is a bigger region in memory in addition to the stack used for storing values, It's more costly to maintain since the GC needs to clean the region from time to time adding extra latency. An early mistake was to minimize escape analysis and it's possible implications on my program's perf. In C++, we know new(int) is allocated on the heap. In Go, we don't really know for sure. May be the new keyword was stolen from C++ as a result might likely be allocated on the heap? Given my C++ bias, I thought minimizing it's use will reduce heap allocation. 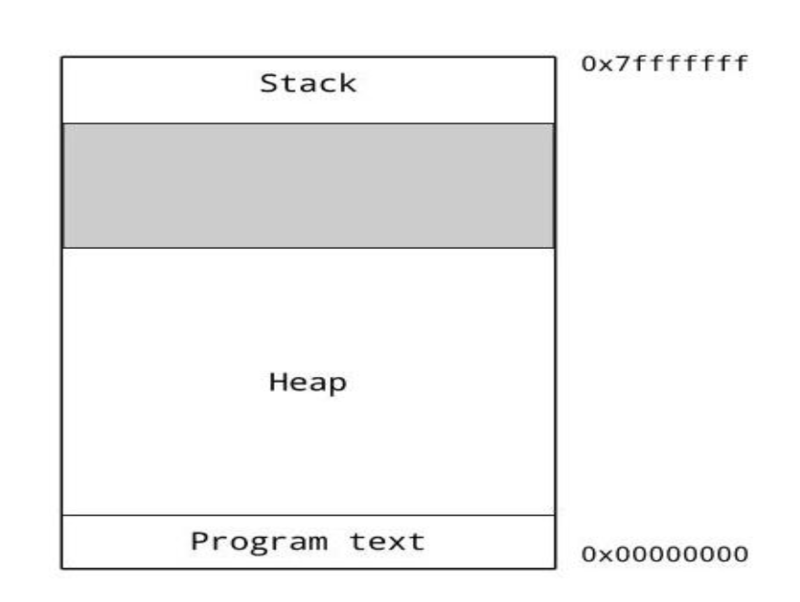 This is a program that tries to establish if allocation takes place on the heap or the stack. When he runs this program (go run -gcflags -m file.go), you see that the new(int) variable does not escape (i.e., it's on the stack, not the heap). In C++, it would be allocated on the heap. In the above example, x escapes to the heap. That's because fmt.Println takes an interface, which means x gets transferred to the heap. Escape analysis is not trivial in Go. You need to do runtime analysis; can't just look at the code. Escape analysis is very important in writing more performant Go programs, yet there's no language specification on this. Do not make assumptions, rather do escape analysis on the code and make informed decisions. Conclusion: "Understand heap vs stack allocation in your Go program by checking the compiler's escape analysis report and making informed decisions, do not guess"
I assumed since there's a garbage collector, then everything is fine Not True! It can be caused by: assigned but unused memory, synchronization issues. This snippet is guaranteed to work even if cases where there’s a panic and it’s standard Go practice. So what's the problem? In very large files where resources cannot be tracked and freed properly, this becomes a problem. This will be sure to open and close up the files (open, close, open, close, etc.) once the operations are done. //files coming in through the channel. // The line below will never execute. The output from running the program shows there is no closing of files. Files will never be closed, therefore causing loss of data due to lack of flush. Conclusion: "Do not defer in an infinite loop, since the defer statement invokes the function execution ONLY when the surrounding function returns"
A slice is a dynamically sized flexible view into an array. We know arrays have fixed fizes. The capacity of a slice is the number of elements in the underlying array. Understanding this can avoid some robustness issues. You could access elements of the underlying array. This could lead to unintended memory writes. These regions of memory are not garbage collected. If you run this code, the third Println shows in c you somehow have access to elements in a that aren't accessible in b. Write regions of memory unintentionally. Robustness issues: Memory is not garbage collected since there's a reference to it. This enables you to specify the capacity during slicing. Unused areas of the underlying array are garbage collected. Our slice cap was set to 1, we can't access regions of memory we don't have permissions to, rightly creating a panic. Fewer memory leaks since unused memory is garbage collected. Reduce sources for potential bugs in your code. It's a lightweight thread of execution, it consists of functions that run concurrently with other functions/methods. A channel is a pipe that connects concurrent goroutines. An understanding of these two concepts embodies concurrency in Go. There's no language-level analog in C/C++. You have to use special libraries to write multi-threaded code. C/C++ has libraries for multi-threaded programming. Concurrency in Go materializes itself in the form of goroutines and channels. However when these occur the program takes up more memory than it actually needs leading to high latency and frequent crashes. What are the problems with the code? How do we fix this? We simply increase the number of channels to 2, This makes it possible for the two goroutines to pass their results to the calling program. Goroutine leaks are very common in Go development. What are errors in Go? Go has a built-in error type which uses error values to indicate an abnormal state. Also these error type is based on an error *interface. A closer look at the errors package will provide some good insides into handling errors in Go. Handling errors in C typically consists of writing error message to stderr and returning an exit code. However, in Go errors are much more sophisticated than strings. Using %T in the format string, you can print the type of the error, which often provides useful information. Nyah believes it’s a feature some developers my overlook but if used properly will give a better Go development experience. The errors package provides a lot of powerful tools for handling errors which some devs may ignore. Wrap() and errors.Cause() are very useful in preserving context of an error later in the program. Take a look at the errors package and see elegant examples. Understand Escape analysis by looking at the compiler decisions, do not make reasonable guesses. Defer executes only when the function returns. Using it in a infinite loop is a mistake. Three Index_slices adds an extra robustness utility in Go, use it. Profile your Go code to identify bottlenecks early on, it's a good practice. Errors in Go are not just strings, but much more. Wrap errors to preserve context and handle them gracefully. Bringing concepts from C/C++ is fine but be ready to be challenged by differences. "Programming in Go is like being young again (but more productive!)." What tools do you miss from C/C++? For GDB-lovers, there's the Delve Go debugger.